The students at Northwood Elementary will be attempting to break the current world record by creating the worlds largets human animal sculpture. The current record was a giant Stork filled with 1,311 people. Students plan to fill a giant sculpture of a Rhino with more than 1,350 people next week on Friday March 29th at their school. OMG founders came across an amazing organization in South Africa called “Rooting-for-Rhino-School-Route Challenge” and decided to try to bring the awareness concept to the US. The management team at Northwood Elementary were kind enough to allow us to try the first US Human Rhino Sculpture at their school. The main reason for the event is to raise awareness to the issue of Rhino poaching. The current poaching situation in South Africa has escalated to a level that is threatening the existence of the species. 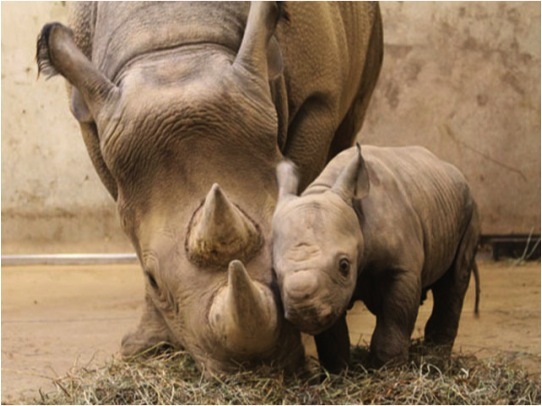 Unless we all try to get involved, Rhinos will become extinct in the wild in our lifetime. Northwood Elementary partnered withOMG founders Carter and Olivia with their Rhino Letter Writing Campaign. All the students have written letters to Sot African president Jacob Zuma asking him to get serious about stopping poaching before it is too late. Olivia and Carter will be traveling back to South Africa later this year to hand deliver the over 2,000 letters they have already collected to show President Zuma that the whole world is begging him to help save rhinos from extinction. One More Generation has teamed up with SPOTS (Strategic Protection Of Threatened Species) and with Rhino SA in an effort to create this campaign. The event IS NOT open to the public but only to Northwood students/Centennial HS students and Kids/Boys Scout Troup led by Mr. Major are participating. Local Girl Scouts interested in also attending ned to contact us directly ASAP at the email address below. Everyone participating will need to be signed-in by the school for security reasons. Everyone attending needs to send us an email confirming your attendance and to tell us how many folks you will be bringing. We strongly suggest that everyone car pool or arrange for your entire organization to arrive via a school bus etc. since parking will be limited. The event opens on Friday March 29th at 7:50AM behind the school in their open field and everyone MUST be in position no later that 8:30AM. For the record to be official, everyone must remain in the sculpture for at least 6-minutes. We will have time keepers sounding the start of the six minutes and the end so everyone knows when it is okay to exit the sculpture. All students from the Northwood Elementary School will be required to report to their respective classes by 9:00AM so we will ask for everyone’s assistance in keeping to the time schedule. We would also like to ask that everyone attending the event consider wearing a gray or black shirt/coat. We want the sculpture to look as much like a Rhino as possible. Here is our email address so you can confirm participation and the number of guests you will be bringing along (info@onemoregeneration.org). We ask that everyone respect that the event will be held on school property and that you ensure not to leave any trash on the school grounds. We also ask that everyone be respective of the fact that the main population at the school is elementary students so please be mindful of your language, comments and opinions. This will be a truly historic event for the students and we want to ensure their experience is one they will always cherish. We are to provide two experienced ‘time-keepers’ who will ensure that the record start time and end time are observed. 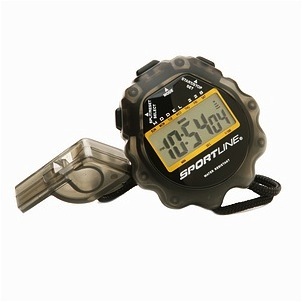 The school will be providing staff members for this and their stop watches and whistles. Everyone entering the Rhino Sculpture will be required to wear a numbered wrist band. We will have these available at both the entry points. Once you are handed a wristband, you will need to place it on your wrist in plain view. We need to video the entry of every person. We will have one video camera station at each of the two entry points. Each person entering the sculpture MUST flash their wrist band with the number clearly showing in front of the video camera so we can capture all numbers as they enter. We still need one additional video camera and a tripod. If anyone has one they can bring to the event, please let me know. We will need two Bull-horns so everyone can hear commands as we get the sculpture filled. 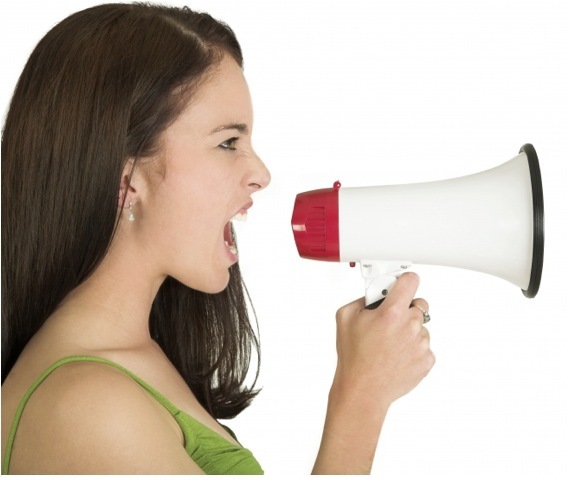 We still need two bullhorns, please let us know if you can bring one. The entire Rhino Sculpture must be outlined in white chalk. All measurements of the sculpture must all be documented and an accurate count of all the people inside the sculpture must also be kept. We need two Notary of Public officials to confirm the event and to provide a signed declaration. Please let us know if you are a Notary and can bring your stamp and provide a signed declaration during the event. The final shape must be recognizable once completely filled. The entire process needs to be video taped. We will have a photographer in the air the entire time capturing the event and we will aslo have a videographer in the air doing the same. If anyone has affiliation with any large community group such as a local Boy scout or Girl Scout and you think you can bring several large groups to participate, please let me know as soon as possible. The school has committed to around 850 to 900 participants. We need at least 1,350 to break the record so we really need help getting a few larger groups to participate as well. That should be all for now. Please let us know if you are able to participate and if you can think of anything else we need for the event to be a success. Thanks in advance for your interest in participating and we look forward to seeing everyone at the school soon.